Gemology is a science – the scientific study of gems and gemstones. 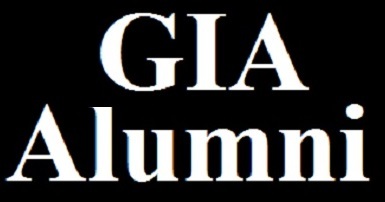 Our GIA Graduate Gemologists are skilled in the use and application of precision gemological instruments. We go beyond the microscope to identify, authenticate, verify and grade gems and gemstones. Our appraisal reports are based on scientifically determined facts. The gemological methods we use are non-invasive and do not harm the items tested. It is important to be able to distinguish natural gemstones from lab grown and synthetics. Gemological testing is important for accurate appraisals. With our state of the art gemological instruments, we are able to peer into and photograph the interior of a gemstone; analyze color and cut; and perform refractory tests and color-coded mapping. 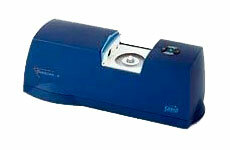 Our lab has the latest advances in technology and computing. We use scientific methods to quantify your appraisal. Instead of “I think this is a…” we can now say “measurements on this make it fall in this range… .” We use laser light to measure the amount of brilliance, and computer comparison technology to analyze cut grade, and color grading on a numerical scale (i.e. “if it falls between x and z then it is this color”). Most of these are using light in some form, either through the stone or off the stone’s surface to give read outs analyzed by computer. These methods are repeatable and reliable. 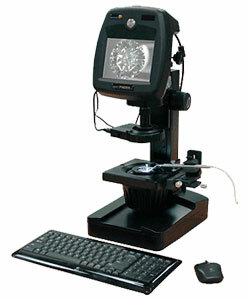 The SpeckFinder Digital Computer Microscope by Dazor is a visual imaging system used to see precise details of nature’s inclusions within diamonds and gemstones. It is the next step up from the microscope. You will be able to see what the appraiser sees in real time. 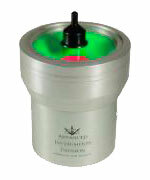 The AGS ASET is a device that allows the viewing of the color-coded mapping from where a diamond draws light. Many highly graded diamonds with excellent cut have very little optical symmetry. What does this mean to you? One is a rock that reflects very little light and the other has the fire to attract attention from across a room. Which one do you want? This device can measure optical symetry and explain on a computer screen and with printed reports why one diamond may be preferable to another. Light can “Leak” out of a diamond. The ASET machine uses laser light to show the patterns of brilliance and leakage. This is done by passing light around the stone so that a “shadow” can be made. The turning platform takes many “pictures” of the stone and extrapolates the information into the shape. Very accurate and precise measurements can be made from this method. Now your stone can be contrasted to information in the database and conclusions can be made about the cut of your diamond. 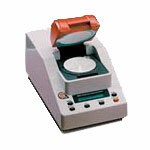 We use a specially designed “meter” to assess stone color. Light is passed through a loose stone and analyzed for color content based on its spectral color. This method measures the frequency of the light and reports back with the letter assigned to the frequency range reported. It is amazingly accurate and fast. This is science at its best in a practical application. This information is so new that most people in the retail jewelry stores won’t even know about it. The Jewelry Judge stays on the front edge of the technology.